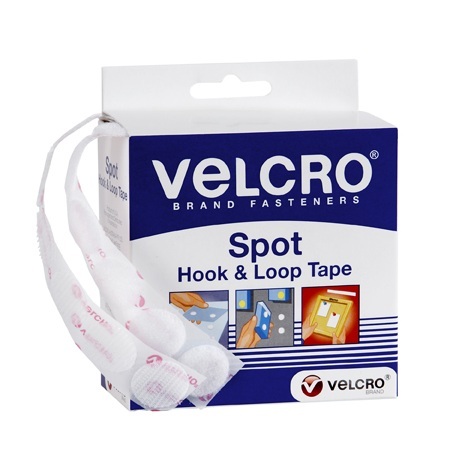 Quality adhesive backed hook and loop fasteners - simply peel and stick. Hook-and-loop fasteners consist of two components: the first component features tiny hooks; the second features even smaller and 'hairer' loops. When the two components are pressed together, the hooks catch in the loops and the two pieces fasten. Did you know? 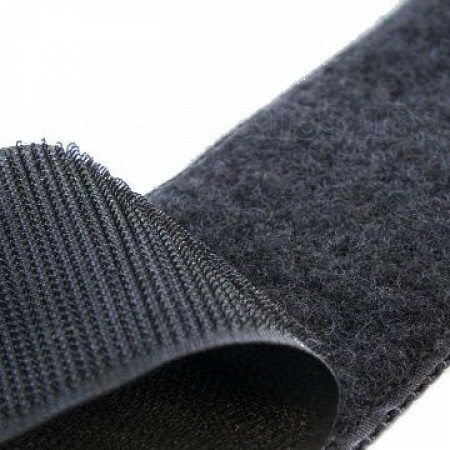 The Swiss electrical engineer George de Mestral invented the hook and look fastener in 1948 and patented the Velcro® brand in 1955. 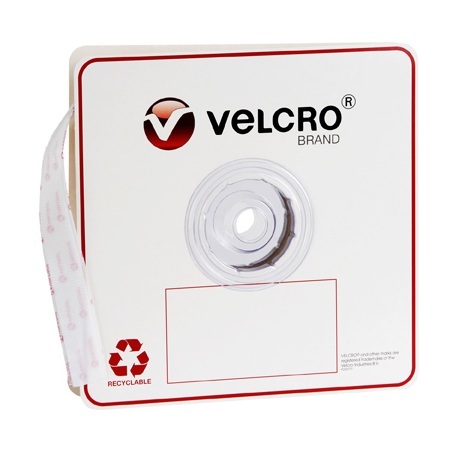 Velcro® brand fastening systems are the unique solution for your fastening and mounting problems. Use for display, posters, signs and cable management. Product - White Hook Only 22 mm Spots. Pack Size - Easy to use dispenser contains 125 spots. Product - White Hook & Loop 22 mm Spots. Pack Size - Easy to use dispenser contains 62 spots (31 each hook and loop). Product - White Hook Only 25 mm x 3.6 m Strip. Pack Size - Easy to use dispenser contains 25 mm x 3.6 m Strip. 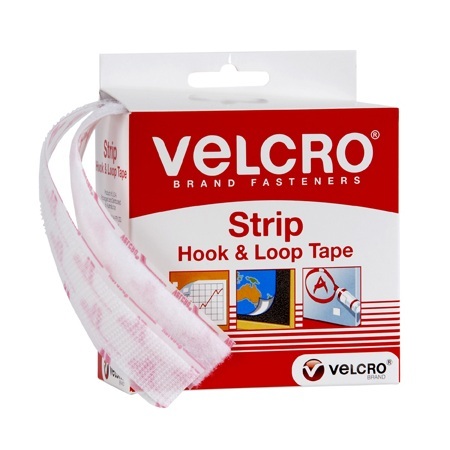 Product - White Hook & Loop 19 mm x 1.8 m Strip. Pack Size - Bulk dispenser roll contains 900 spots. Product - White Loop Only 22 mm Spots. Product - White Hook Only 25 mm x 25 m Strip. Pack Size - Bulk dispenser roll contains 25 mm x 25 m Strip. Product - White Loop Only 25 mm x 25 m Strip.